let's see what the summer brings to us here in the Deep South. I'll show you some summer sewing/quilting next post! Fresh picked veggies come to rest on this table on my back porch before entering the house for eating or preservation. Tomatoes grown in Alabama Red Dirt are a Culinary Delight! Yum! The temps are hovering around 100 but blissfully, low humidity, is making the heat quite bearable.The garden is mid cycle and we are settling into a summer routine of outdoor chores done early morning/late evening before the heat drives us indoors for lunch and maybe a nap? Afternoons find me sewing, reading, laundry, blogging, or swimming with the grandpeeps. I've tried to avoid much housework since we are planning major remodeling and updating beginning in September. Japanese Beetles are devouring everything! Cantaloupes about 1 week from eating! Delicious! Blackberry vines next to melon patch. We've picked almost 3 gallon so far. Blackberry cobblers have been a staple at the dinner table. Fall pears on new pear trees planted this Spring. The girls give me 3 eggs a day! Pound cakes are incredible made with these fresh eggs. Rhode Island Reds. I want more of the Black and White hens but I can't correctly spell Dominekers (sp?) Ha!! #1 Husband restores Tractors for a Hobby! This is his latest restoration for a Friend's Father's old tractor that had rusted for years in an old barn. You should have seen the Before! New decals and fresh paint bring an old Gal back to life! Now, I wish we could go sit on the front porch together with a tall glass of Sweet Tea...iced tea in the south is more like tea with your sugar! A gallon of fresh brewed tea has 2 cups of sugar! Yikes...but Oh So Delicious! If we lived close, I would keep you supplied in tomatoes! 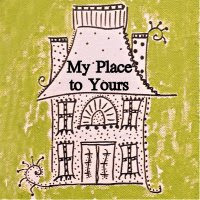 Love the tour of your place! We are doing similar routines here....blackberries in the windrows, blueberries ripening next to the garden. Can't wait for the cukes to get a little bigger, and I'll start my 36 hour sweet pickle recipe! And a tomato sandwich for supper! Yum! Could you share your pickle recipe??? It makes me so homesick for the states... except for the Japanese beetles ... we don't have them here. By the way, I haven't much respect for someone who can only think of one way to spell something. I would LOVEto send you some Japanese Beetles!! I do not like them I do not like them I do not like them indeed I don't!!! Thanks for the spelling kudo!! The mild spring weather allowed us to plant 3-4 weeks earlier this year! I so wish we could share a glass of iced tea together sweet Sandra!! Our plans are still unmade for the 4th. Most likely it will include a cook-out at some point...nothing major. I will be asking for your pear dumpling recipe this fall. I am surprised at this tree bearing so many pears in it's 1st year of planting. Roger has a green thumb! Ahhh....the wonderful benefits of your labor!!!! We are still waiting on our tomatoes to ripen, but I can almost taste the BLTs by looking at your crop. That is a LOT of sugar!! I have to give credit to the mister for all the goodies on our farm. I have little to do with it except for eating and preservation. #1 husband enjoys growing things and spend a great deal of time and labor into planting, pampering, and growing. Wish I could share some tomatoes with you! My mouth is just watering. I could just graze my way through your gardens. It doesn't get any fresher. City girl question-what do you do with a whole patch of watermelons? What we don't eat we give away! If I were real industrious I would make watermelon jelly but I doubt I'll do that! #1 husband lives to give away garden bounty! We eat a fraction of what he plants but lots of friends and coworkers look forward to receiving their garden concierge service! Oh my goodness...no tomatoes here yet...they look fabulous! Our gardening season is about 3 weeks ahead of schedule this summer due to the mild spring weather. I can eat fresh tomatoes for 3 meals a day! These tomatoes are very mild and tasty this summer. I may turn into a tomato! Wonderful tour! We'd love to have all that fruit in the backyard! I'm a southern girl too (NC), but now drink my tea straight up. Yeh, I can take it! :-) When the boys were little, we also had Rhode Island Reds...oh such fond sweet memories! Thanks for a visit to your farm. I'm getting closer to drinking my tea straight up. I love my cup of hot tea as well and I can drink that plain any time! Glad you enjoyed the tour and brought back sweet memories. We have a lot of tomatoes, but no where to put them. I love the trip around your yard, Jane! It is awesome! Glad you enjoyed, Teresa. I love my tomato table on the back porch. Most country folks around here have their own version of the veggie table. Some use a picnic table in the shade. The mister *forgot* to plant cucumbers...can you believe it? I'm depending on the extra bounty from neighbors for my cukes this summer. Wonderful photos! Look at all those tomatoes! I grew up on a farm. I always miss it in Spring and Summer ... and Fall. wow everything in your garden is so much further along than mine! It all look AMAZING! Thank you for the sweet comment and prayers. They are very much appreciated! I'm jealous. We haven't had time yet to build veggie bins here at our new house so no home grown tomatoes for me this year. Are you willing to shop some my way? Just kidding.